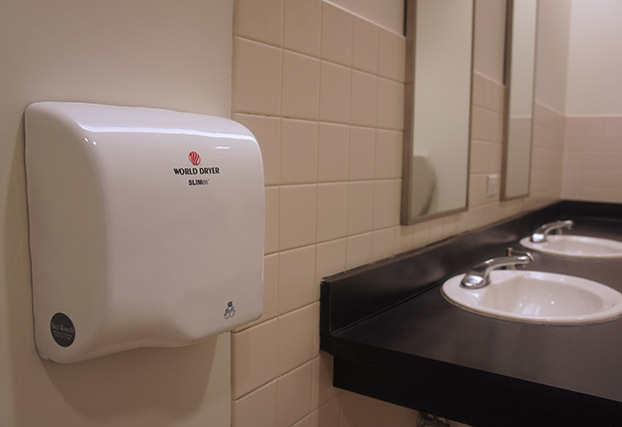 World Dryer, the global leading manufacturer of hand dryers, offers a full portfolio of fast, state-of-the-art hand dryers designed to fit the individual needs of any facility. For more than 60 years, World Dryer products have set the industry standard by integrating leading technology, convenient functionality and attractive design to give every user an unparalleled experience. 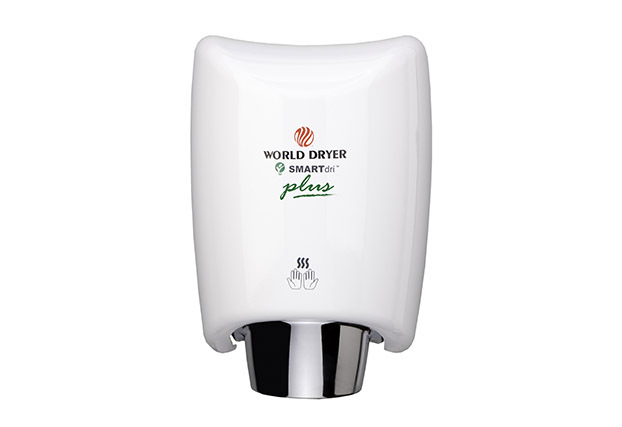 World Dryer high-speed hand dryers deliver a faster, more effective drying experience while reducing operational costs. 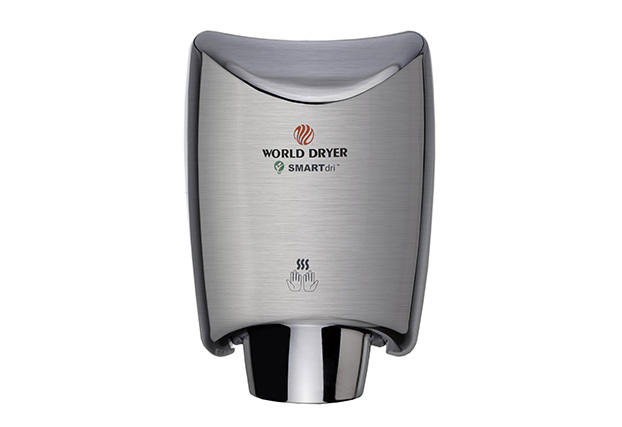 World Dryer’s SMARTdri Plus high-speed energy efficient hand dryer. 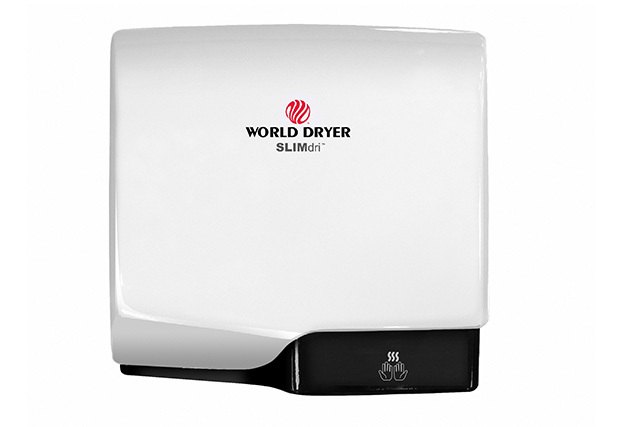 World Dryer’s SLIMdri surface-mounted ADA compliant high-speed hand dryer. 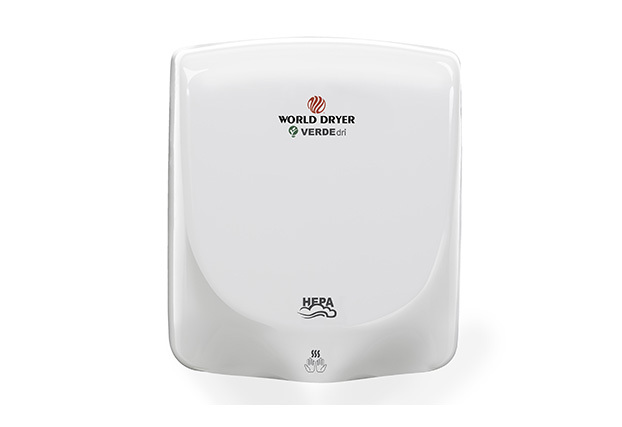 World Dryer’s VERDEdri surface-mounted ADA compliant high-speed hand dryer. SMARTdri has the longest service life of any high-speed hand dryer. SMARTdri Plus features intelligent on/off heating and 3-speed motor controls. 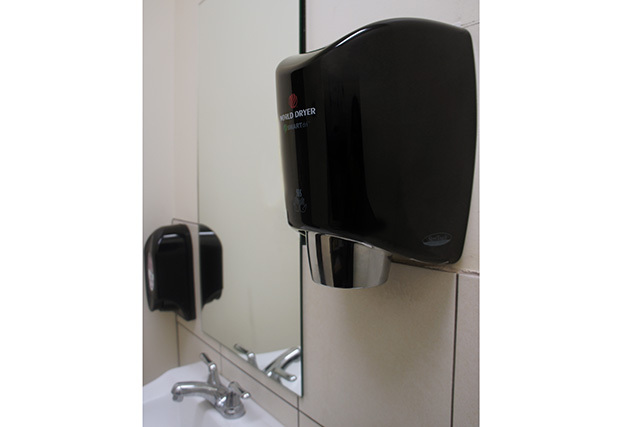 The VMax hand dryer utilizes a HEPA filter and odor neutralizing tablet system. 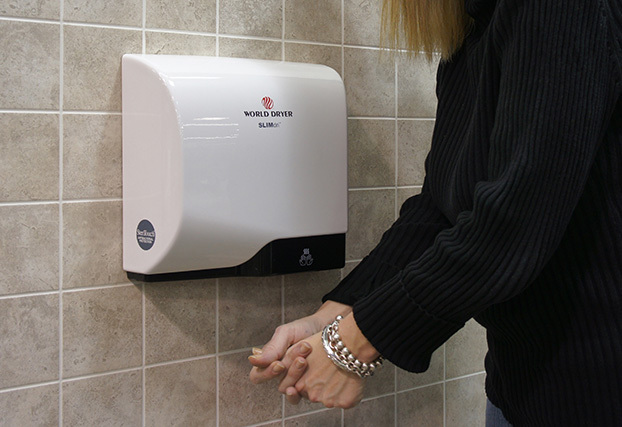 VMax offers a 25 percent greater hand-drying opening for user comfort. 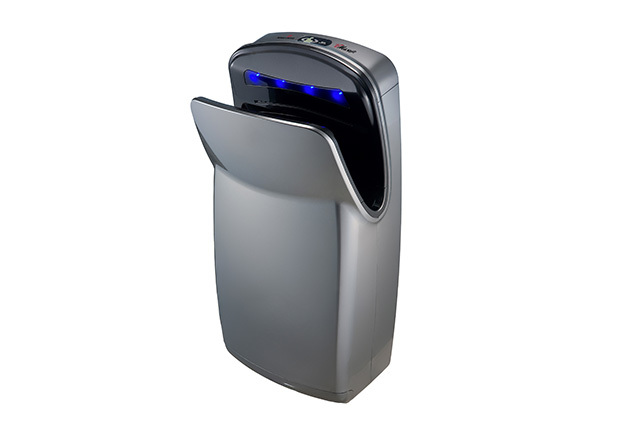 The SLIMdri hand dryer offers on/off heating controls for optimizing energy use. 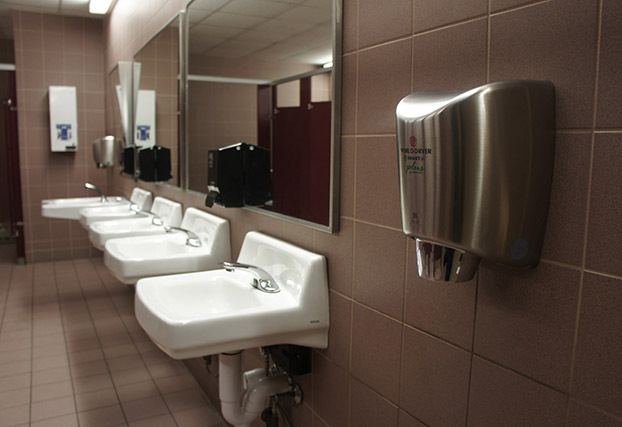 Installation is easy with surface-mounted ADA compliant World Dryer hand dryers. 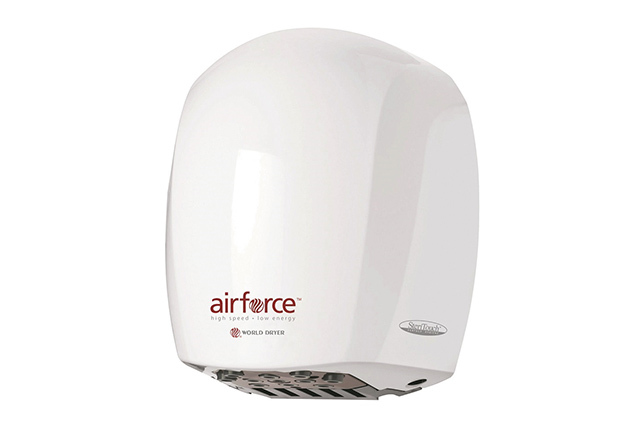 Airforce is an environmentally friendly ambient temperature hand dryer. 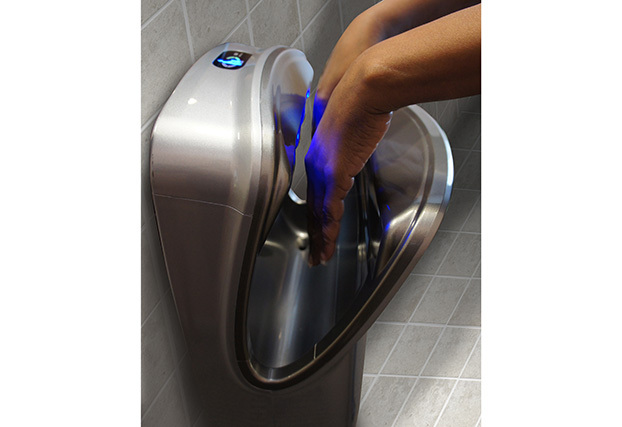 World Dryer hand dryers come in a variety of cover materials and colors. 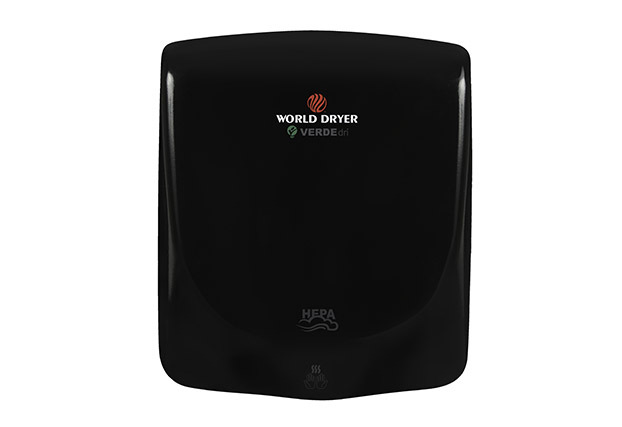 World Dryer offers a full portfolio of hand dryers for specific needs.